Tokyo Hearts is a poignant love story that will catapult the reader directly onto the stylish streets of Japan’s capital and into the hearts of Takashi and Haruka. Takashi is a young and popular university student who has fallen in love with his charming and sophisticated friend Haruka. Together they make a cute couple and their sweet friendship is undeniable. Haruka is gentle and kind and adores shopping for high-end Japanese and Western brands - she loves her Louis Vuitton handbags, Hermès scarves and Louboutin shoes. Takashi is more down to earth but he also enjoys eating out and looking through the department stores in Ginza and Shibuya. Every week, they meet up in the heart of Tokyo, enjoying each other’s company, and for Takashi, life is perfect but the path to true love is never easy. When Takashi discovers that Haruka is seeing her wealthy ex-boyfriend called Jun from Kyoto, his life begins to turn upside down. This coming of age story traces the lives of Takashi and Haruka and their friends as they deal with young love and the ups and downs of growing up in Tokyo – truly one of the most stylish, energetic and exhilarating cities in the world. Filled with cultural significance, this story will appeal to readers who love exploring different cultures, even if they know very little about Japan and the mind-set of the Japanese people. I studied Japanese language, literature and culture at university in Australia. I went on to spend a couple of years teaching English in Japan and when I returned to my home in Melbourne, I spent many more years working with the Japanese in different areas. 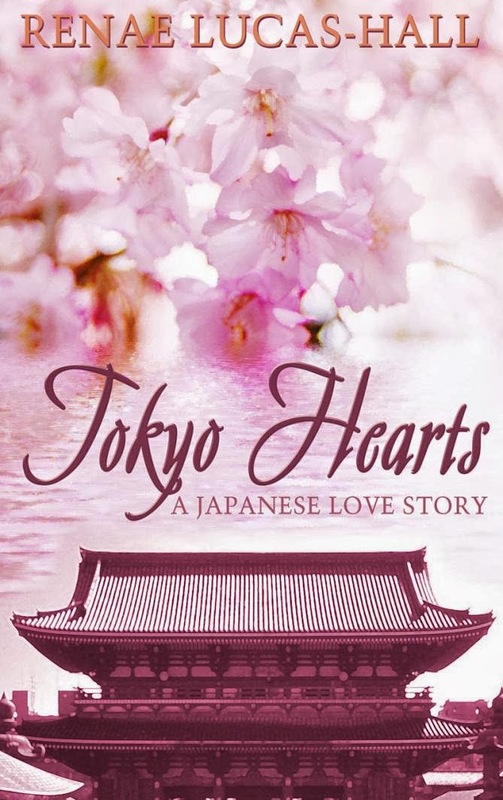 As I’ve always loved reading and writing and I truly appreciate the Japanese culture, it was a natural progression for me to write this novel Tokyo Hearts: A Japanese Love Story. 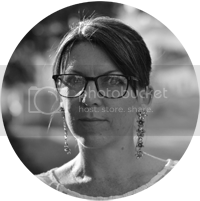 My graphic designer is Cathy Helms at Avalon Graphics. I told her I wanted part of the cover to include Japanese cherry blossoms. I wanted to use this image for all my books because cherry blossoms represent the transient nature of life to Japanese people and I think this is a very interesting theme. The lower part of the cover is the roof of a Japanese building and I thought it was very original and it made a statement. I also wanted the cover to look pretty and appealing because my readers are predominately young adult females. I think it would be wonderful if Fumi Nikaido played the role of Haruka. She is well known for being able to convey a lot of expression on her face and in her eyes in acting roles, without overacting a scene. She also has an angelic look about her. I think Kento Nagayama would be a great person to play the role of Takashi. He comes across as being very down-to-earth and honest. I write young adult fiction. I decided to write in this genre because growing up today is so different compared to what I had to deal with when I was growing up. Young adults have to cope with the pressures of social media sites and reality shows. They are dealing with lies and fake profiles and they are being bombarded by the press and marketing machines telling them they have to look a certain way and act a certain way. I want to give them hope, encourage them to be themselves and to be honest with others. I also want them to believe that life is wonderful and let them know they can achieve whatever they want, even if the odds are stacked against them. I’ve always loved books and the escapism they provide. When I write I feel like I can escape into another world and create dreams that other people can appreciate. I’ve lived in Japan and I know a lot of Japanese people so I use the names I’ve always liked. I don’t use the names of my Japanese friends because I wouldn’t like them to think my stories are about them. Some of my readers say it’s difficult to read Japanese names if they don’t speak Japanese so I try to choose Japanese names that are not too difficult to remember and I don’t include an excessive amount of characters in my books which might confuse the reader. My favourite book is Great Expectations by Charles Dickens – I love every line in this book. I get a lot of inspiration when people who have read my books tell me how much they appreciate my writing. I write in the living room. I’ve read on the internet there are places in Europe that are retreats just for writers where it is peaceful and quiet and you can get inspiration for your writing and mingle with other authors. This sounds really appealing to me but you stay there for at least a few weeks and I would miss my husband too much. He’s not a writer and he would be bored at this kind of retreat so I don’t think I’ll ever be able to take part in something like this. Most of the time, I think a book is so much better than the movie based on that book but there is one movie from my childhood that completely mesmerised me. I’ve always enjoyed eating chocolate so when I saw Willy Wonka & the Chocolate Factory with the actor Gene Wilder for the first time, I thought it was my idea of heaven!! I know Roald Dahl is a brilliant author but this movie is amazing. Obviously Charles Dickens so we could discuss his books and his opinions on life in England in the 19th century. I’d also like to invite Ian Fleming who wrote the James Bond spy novels because he’d be an exciting conversationalist. William Shakespeare would be there so we could talk about the words he introduced into the English language and I’d also like to know what he thinks about the colloquialisms used in the English language today. Haruki Murakami would get an invitation because I know he speaks English very well and he has a vivid imagination. Also, I’m sure Mr Murakami would just love to be present and join in with this group’s conversations and hear what everyone has to say. Then I’d have to invite George Orwell because Haruki Murakami paid homage to his book ‘1984’ when he created the title ‘1Q84’ for one of his own very popular novels. Also, another reason I think George Orwell should be present is because I’m pretty sure he’d tell everyone at the dinner party “I knew the world was going to end up like this”, as soon as he discovered what is happening in the world today, and this would make me laugh!! I have two passports – British and Australian. I was born in Australia but I prefer to live in England. I really can’t think of anyone but it would be nice if this woman was less interested in the money she’d receive for the part and more interested in getting my character right and showing my love for books and writing. I live in a small Cotswold village where people will say hello to you when you pass even if you don’t know them and the locals will knock on your door at Christmas to give you mince pies and expect nothing in return. In spring, we can see new-born calves and lambs in the fields when we walk our dog and the views across the lush green fields fills me with a great sense of awe and appreciation and a deep feeling of contentment. An added bonus is that it only takes about two hours to drive from our home to London. My husband and I really love the fact that we live in such an incredibly beautiful part of England. I’m currently working on Tokyo Dreams. This is the sequel to Tokyo Hearts: A Japanese Love Story. My husband and I would like to enjoy a holiday in the Caribbean. A writer, a teacher or an interpreter. See my review of Tokyo Hearts here.